Gov. Greg Abbott has followed through on his threat to cut off state funding for Travis County over its new "sanctuary" policy. Abbott's office said Wednesday it has canceled criminal justice grants it usually administers to the county, whose sheriff, Sally Hernandez, recently announced her department would reduce its cooperation with federal immigration authorities when they request an inmate be flagged for possible deportation. The policy was set to go into effect Wednesday. Hernandez, whose jurisdiction includes Austin, has showed no signs of backing down from the policy, even after Abbott raised the prospect she could be removed from office. 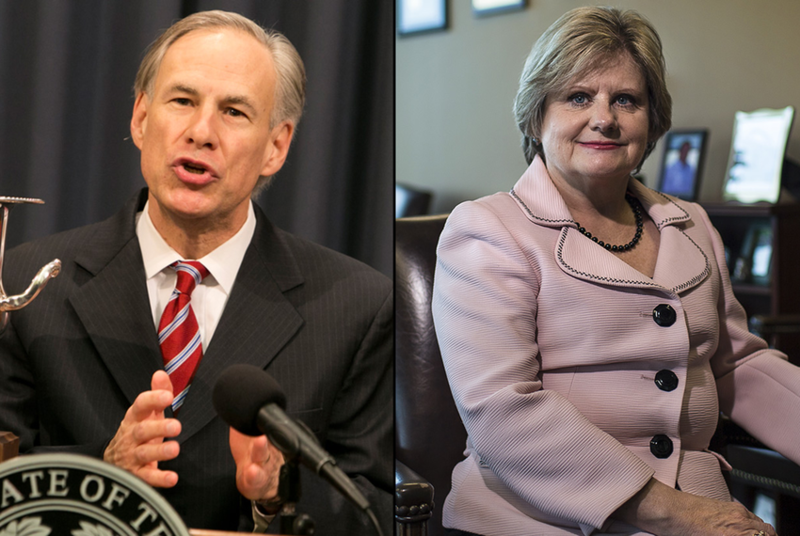 The move came a day after Abbott named banning sanctuary cities as one of four emergency items in his State of the State speech. Democrats had pushed back on Abbott's threat to withhold the grant money by noting it funds programs that help children, women, families and veterans. But the Republican governor has held firm, saying his No. 1 concern is public safety. "The Governor is willing to sacrifice veterans, women and children to garner political points," state Rep. Eddie Rodriguez, D-Austin, said in a statement Wednesday. "Governor Abbott must be held accountable for playing politics with the lives of the most vulnerable in our communities." U.S. Rep. Lloyd Doggett, D-Austin, went even further in a statement, saying Abbott's "vindictiveness is more like Russian President Putin's authoritarian regime than our democracy." It appears Abbott is still looking for additional ways to put pressure on Travis County. His office has given state agencies until Friday to list all their funds to the county, suggesting that money could be cut in addition to the criminal justice grants. Abbott's move Wednesday was first reported by the Austin American-Statesman. Gov. Abbott demands Travis County reverse new "sanctuary" policy. Travis County sheriff announces new "sanctuary" policy. Six years later, fight over anti-sanctuary cities bill has changed.